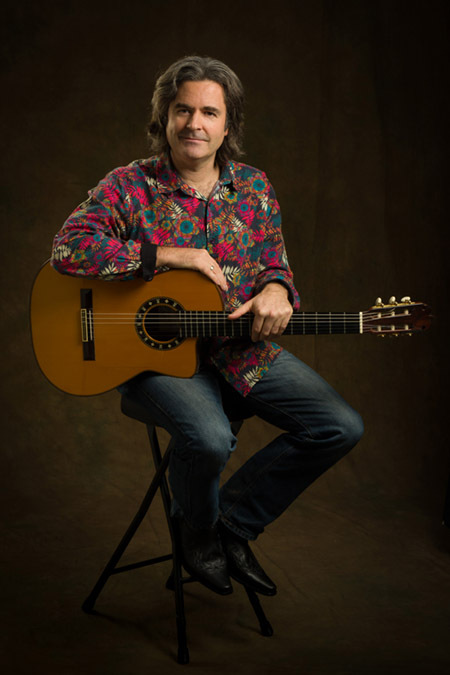 Mark is a professional Spanish guitarist based in the South West of the UK. His experience of live performances spans over 35 years. His repertoire includes Latin, contemporary and world fusion as well as traditional Spanish guitar pieces. Mark is a dynamic live performer; available for weddings, concerts, parties, corporate functions or any other special occasion. Call him on 01503 230832 or 07970 052329 to discuss your individual requirements. Mark also performs with "Flamenco Amigos" - a duo with Flamenco dancer Mercedes Romero. Mark has also performed with top musicians from around the globe, most recently LA based World Fusion band "Incendio", who make guest appearances on "Mandala". He is currently working on his 5th album of original music, "Infinitus". 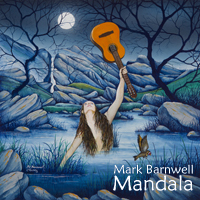 With ten memorable original instrumental compositions, Mark Barnwell's Mandala features some of the finest Nuevo Flamenco guitarists recording on the planet today. "Immediately I was blown away. Great guitar sounds, great production, great compositions. This is really top-notch stuff. Easily as good as anything else out there in the genre." "On Ojos de la Tierra, my dear friend Mark Barnwell offers up some captivating and exotic melodies, with nice arrangements, talented guest musicians, and a very sweet guitar sound"
"I was blown away by your guitar playing"
"Filigree flamenco fantasies from an artist whose fluttering flurries of notes make one�s soul fly."